From backyard barbeques to poolside parties, it’s summer party season and with temperatures rising, there’s something about a fabulous summer cocktail that really jazzes up a gathering. If you are like me, I’m tired of tubs full of brews and boring mixed drinks. I’ve been trying some new recipes using Brugal Extra Dry Rum, which is a cask-aged white rum that is filtered for clarity and smoothness and distilled in a way that removes the heavy alcohols that other rums leave in. This creates a less sweet spirit and more balanced cocktails. Since 1888, Brugal has been creating distinctly different rum through its distillation process, which results in a spirit that is cleaner, dryer and less sweet. Brugal rum is also cask-aged, using the same wood policy as the world’s finest Single Malt Scotch Whisky. Because the rum is cask-aged in the year-round heat and humidity of the Dominican Republic, maturation is accelerated, contributing to a more balanced, sophisticated rum. The Brugal Extra Dry Rum has a very clean aroma with subtle hints of light vanilla, citrus and coconut, which make it the ideal rum to bring out your inner mixologist. Here are two “go to” recipes to shake things up this summer – try a fun DIY daiquiri bar or a sinful sangria soiree to get out of the rut. DIY Daquiri Bar (when you’ve got a larger, thirsty crowd) Serve as a pre-batched cocktail (below) and arrange seasonal ingredients in colorful bowls such as strawberries, blueberries, jalapenos, ginger or basil. Let your guests add the ingredients to the pre-made base. Watch this this video to see how it’s done. Directions: Combine all ingredients in a pitcher. For each guest, add 3-4 ounces of pre-batched daiquiri to cocktail shaker, add ice and ingredient of choice. Shake and strain into a chilled rocks glass with ice, garnish with a lime wheel. Serve this effervescent and refreshing drink in a clear pitcher to showoff the beautiful colors of this cocktail. 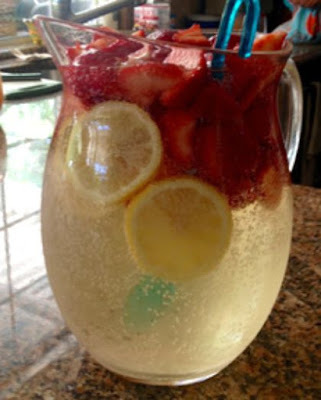 Directions: Add lemon slices to a large pitcher, then the apples, strawberries and blueberries (if you decide to use them). Pour the wine and rum over the top. Cover and place in the refrigerator for about 3 hours to let the fruit soak up the alcohol. Remove from fridge and add the lemon lime soda just before serving. Raise your glass and toast to the summer because you’ll be pulling out those scarves and mittens before you know it! Disclosure: Kristine Snyder received a complimentary bottle of Brugal Extra Dry Rum to review. No monetary compensation was received. Her thoughts, opinions and ideas about the product are 100% her own, unbiased opinion. Your thoughts may differ. You must be 21 years of age or older to consume alcohol. Please drink responsibly. I love the recipe for the Strawberry Sinful Sangria. the. 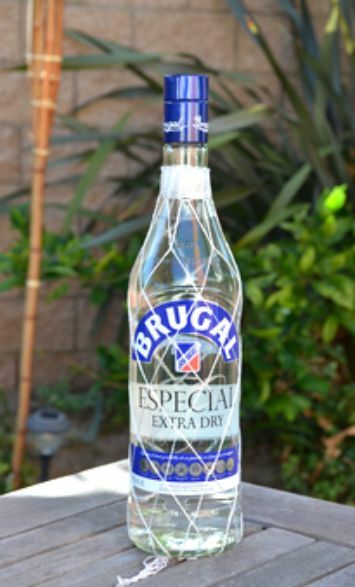 Brugal Extra Dry Rum sounds like a superior product from the way you described its production and something I would like to try.